Red Wine & Chocolate 2009 – Save the Date! Mark your calendars! 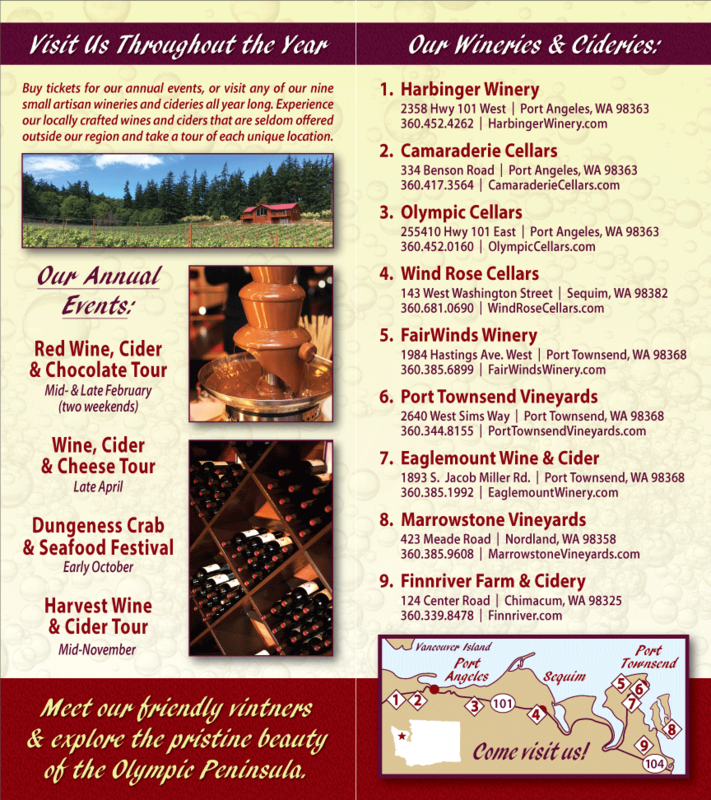 The Olympic Peninsula Wineries will once again host the popular Red Wine & Chocolate Tour over two delicious weekends, February 7-8 and February 14,15,16, from 11 a.m. to 5 p.m. Enjoy award-winning red wines and new wine releases paired with a variety of chocolate delights ranging from sweet to savory. Wine specials will be available throughout the event. Tickets are available online now at https://www.olympicpeninsulawineries.org/redwinechocolate.php. 6 p.m. For further information and reservations, call 360.683.3983.